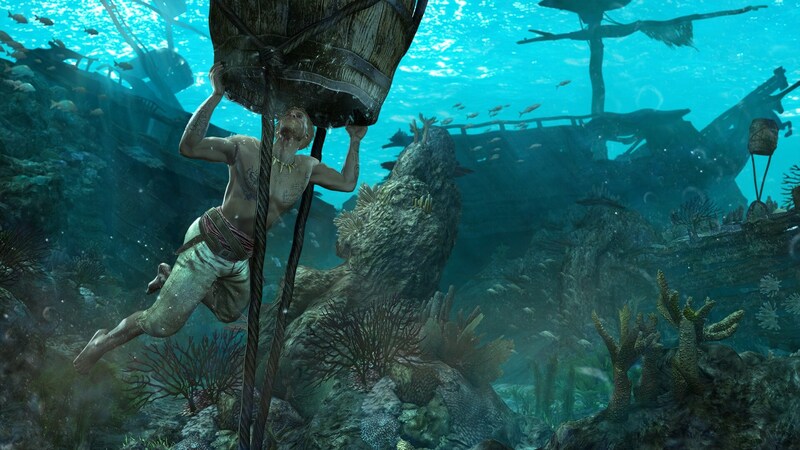 With compelling characters, an expansive world, and an incredible amount of pirate activities to engage in, Assassin’s Creed IV Black Flag is the largest and most immersive Assassin’s game in the franchise. 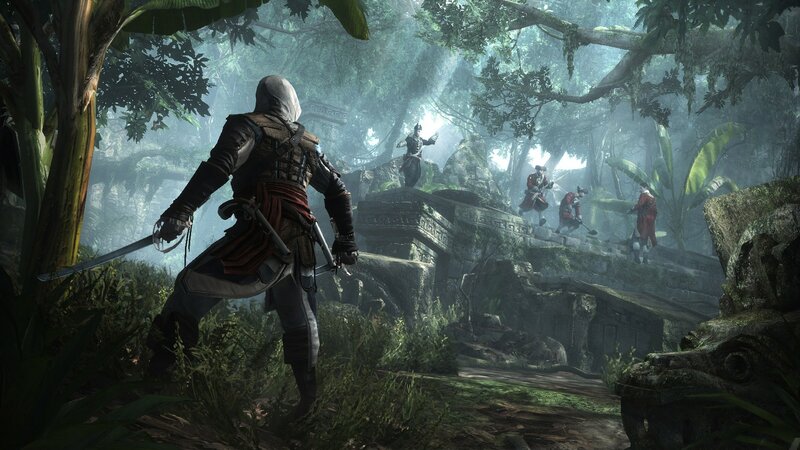 Rise up against slavery with the latest single-player action-adventure game in the Assassin's Creed franchise. 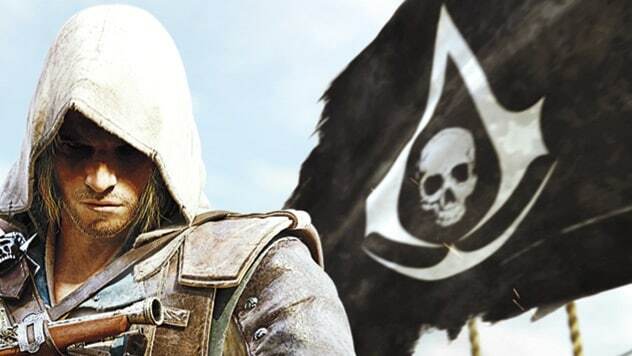 Into this world sails a young, cocky, and fearsome captain named Edward Kenway. 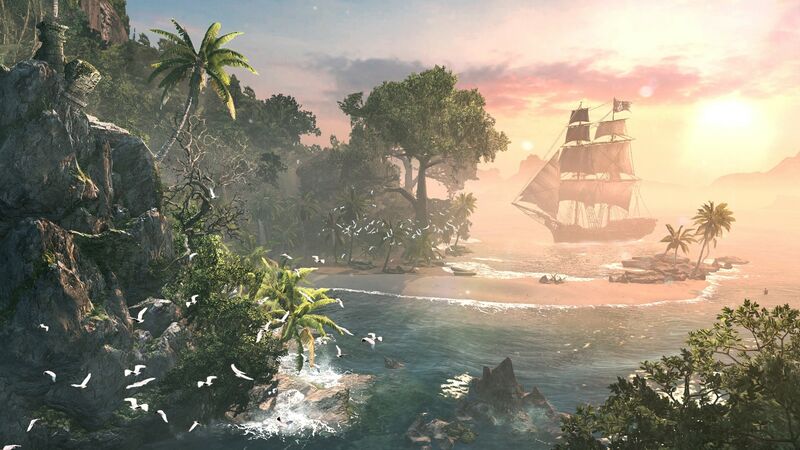 With compelling characters, an expansive world, and an infinite amount of pirate activities to engage in, Assassin’s Creed IV Black Flag is the largest and most immersive Assassin’s game in the franchise. 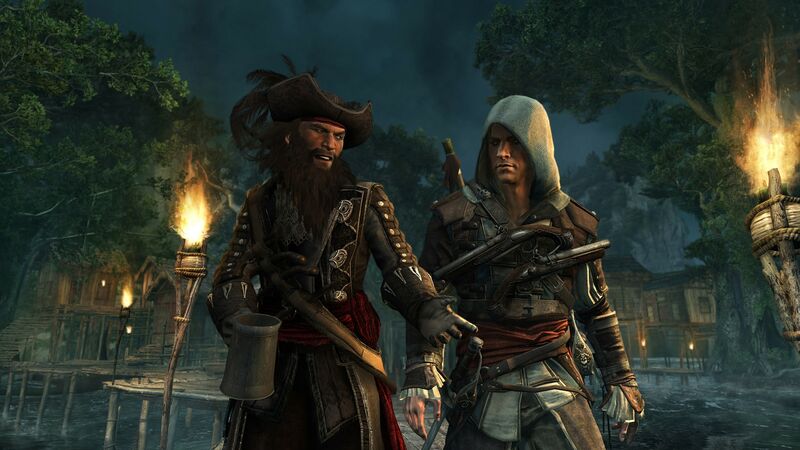 Assassin's Creed IV Black Flag begins in 1715, when pirates established a lawless republic in the Caribbean and ruled the land and seas. These outlaws paralyzed navies, halted international trade, and plundered vast fortunes. They threatened the power structures that ruled Europe, inspired the imaginations of millions, and left a legacy that still endures. The fullest Assassin’s Creed world ever created. Stand among legendary pirates such as Blackbeard, Calico Jack and Benjamin Hornigold, as you establish a lawless republic in the Bahamas and relive the truly explosive events that defined the Golden Age of Pirates. From Kingston to Nassau, explore 50 unique locations where you can live the life of a pirate. Captain and customize your own ship, search for lost treasure, hunt rare animals and loot underwater shipwrecks. Into this world sails a young, cocky, and fearsome captain named Edward Kenway. His skill with a sword and disdain for authority earn him the respect of pirate legends like Blackbeard, but thrust him. Get to know Captain Edward Kenway and his host of fearsome pirate allies, like Charles Vane, Anne Bonny, Calico Jack and Blackbeard. Take on pirate hunter Woodes Rogers whose ruthlessness is surpassed only by his infamy as the bane of outlaw sailors. © 2007–2014 Ubisoft Entertainment. All Rights Reserved. Assassin’s Creed, Black Flag, Ubi.com, Ubisoft, and the Ubisoft logo are trademarks of Ubisoft Entertainment in the US and/or other countries. “PlayStation” and the “PS” Family logo are registered trademarks of Sony Computer Entertainment America Inc. Nintendo trademarks and copyrights are properties of Nintendo. Software platform logo (TM and ©) EMA 2006.